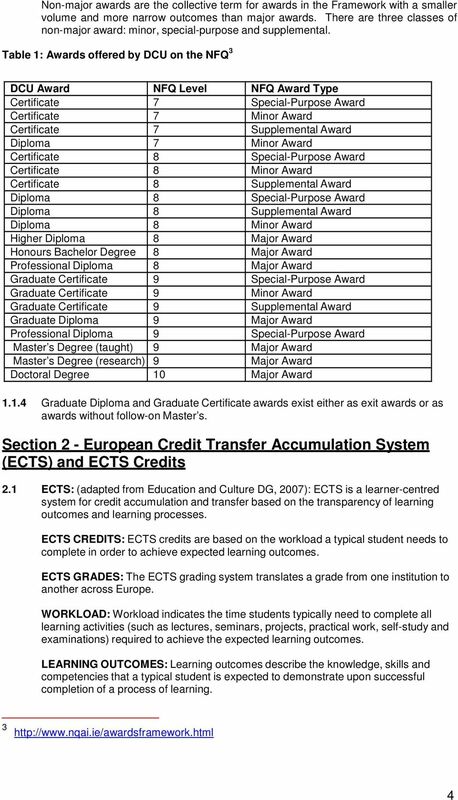 Download "Version 2012.1.0 Approved by Academic Council on 8 February 2012. 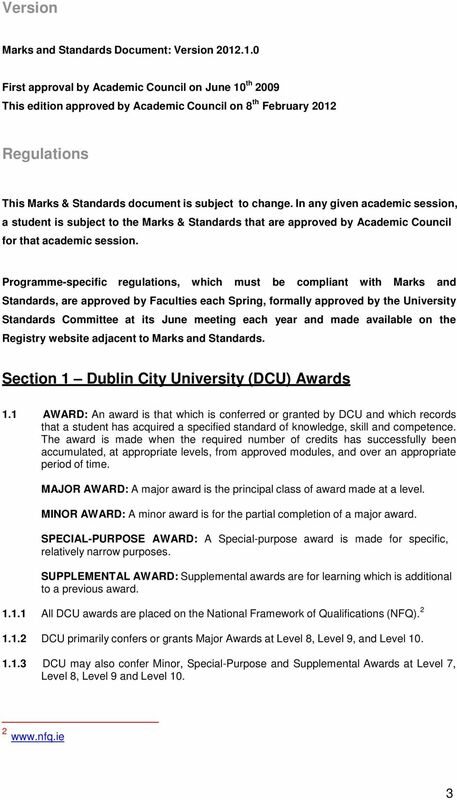 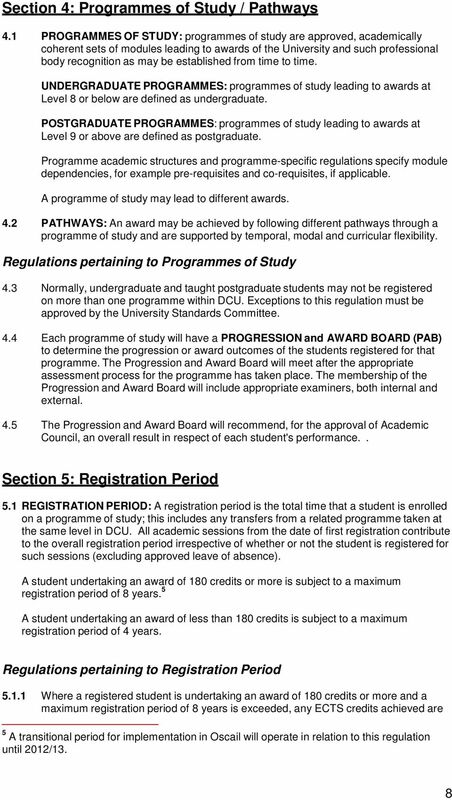 Dublin City University Marks and Standards"
Document Status: Approved 14/05/2013. 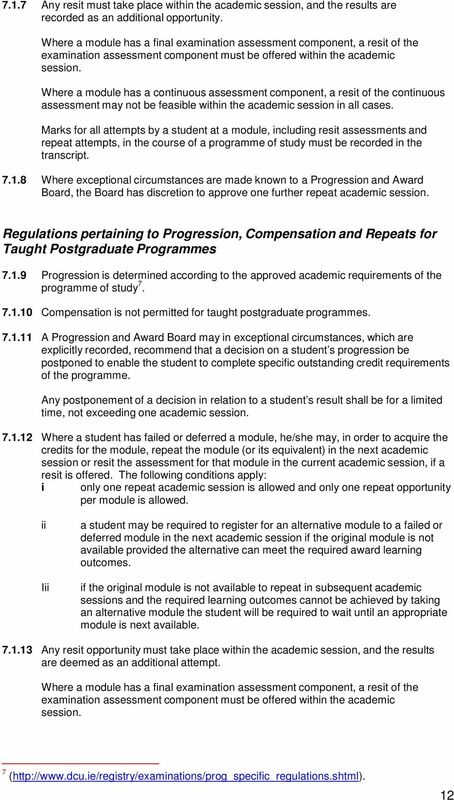 Incorporates amendements agreed by Academic Standing Committee on 13/8/2015. 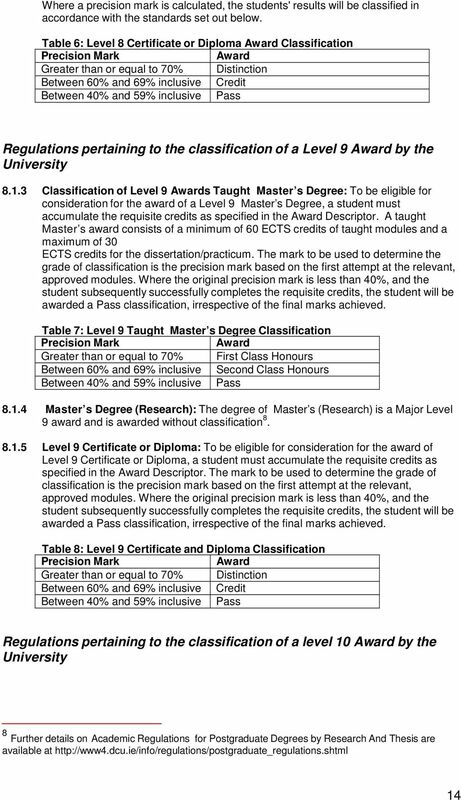 Marks & Standards for all Postgraduate Taught Masters Degree, Postgraduate Diploma, Higher Diploma, Professional Diploma and Postgraduate Certificate Examinations (Fulltime and Part-time) and the LLB. 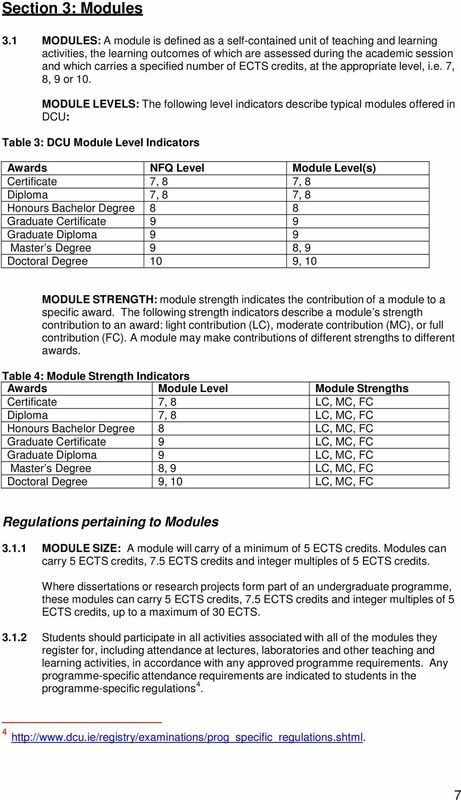 CHAPTER 6 THE CREDIT SYSTEM Almost all Programmes of Studies at the University are structured on the credit system. 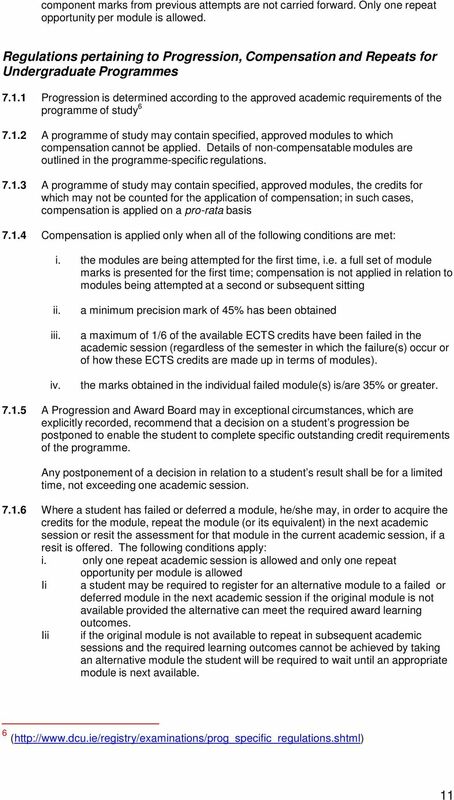 A credit is a unit of measure, and programmes are based on the following guidelines. 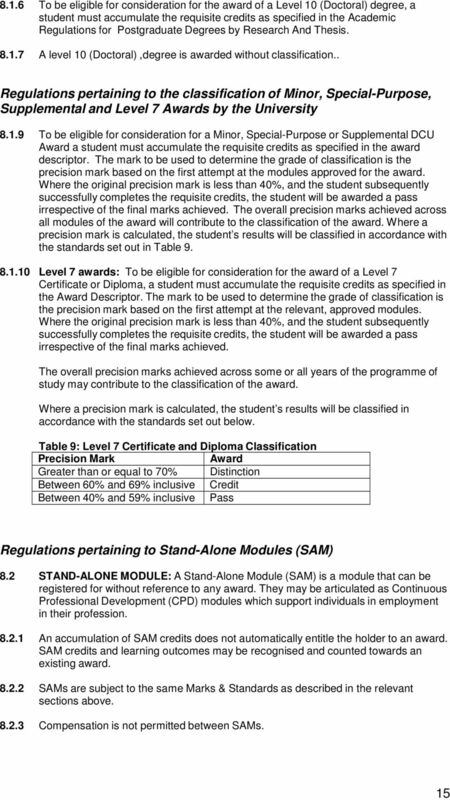 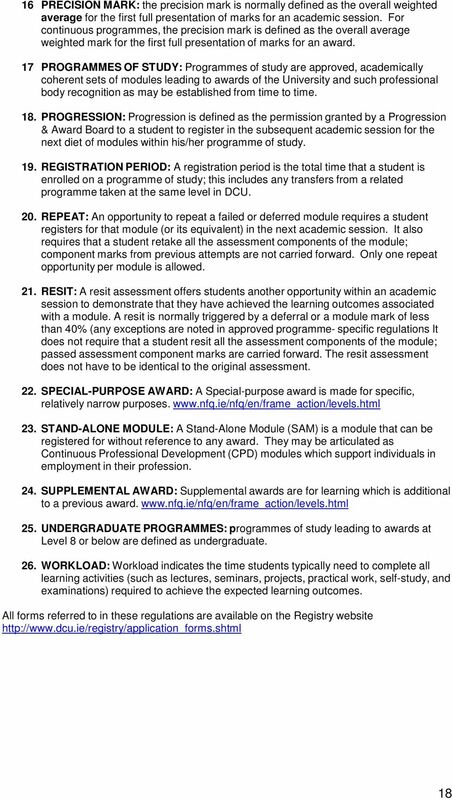 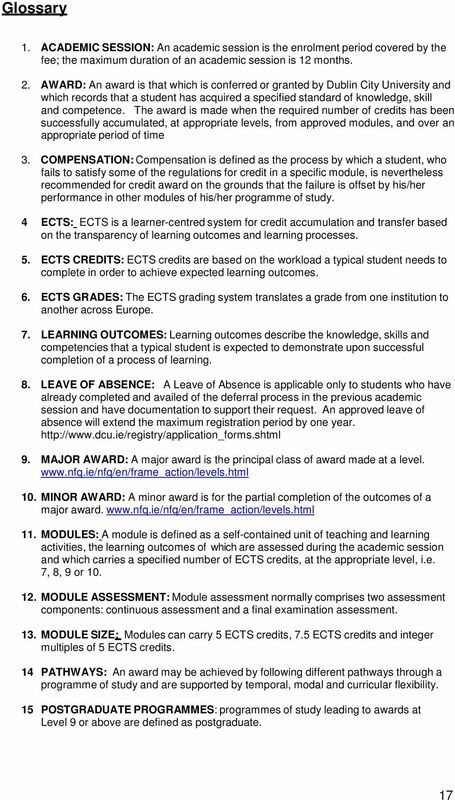 Marks & Standards for all Part-time Undergraduate Degree Examinations (excluding continuous programmes) Document Status: Approved 27/03/2012. 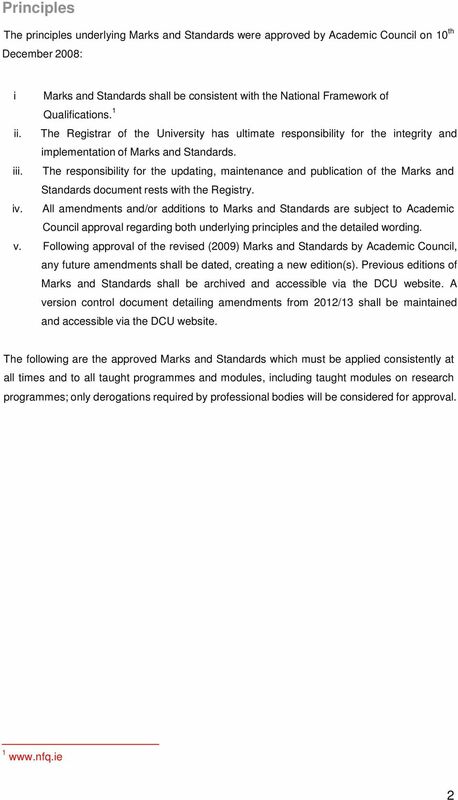 Incorporates amendments agreed by Standing Committee on 13/8/2015. 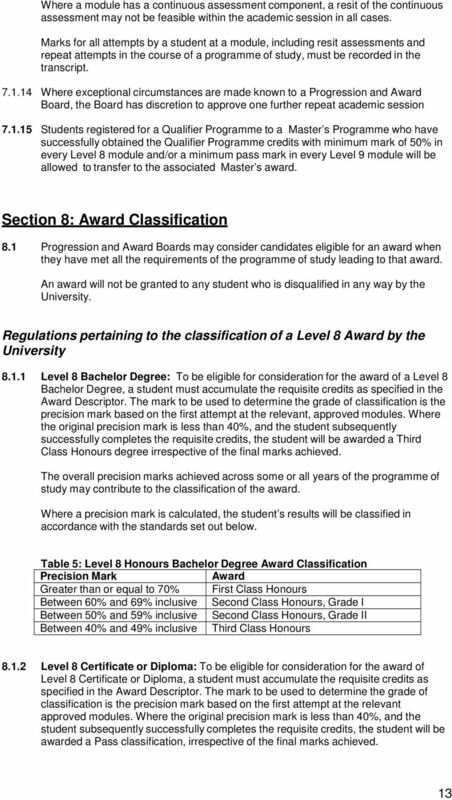 Document Status: Approved 2012. 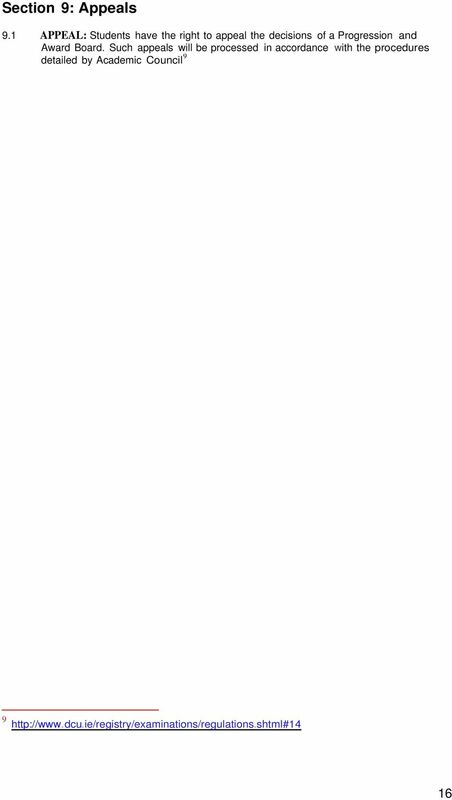 Incorporates amendments agreed by Standing Committee on 13/8/2015. 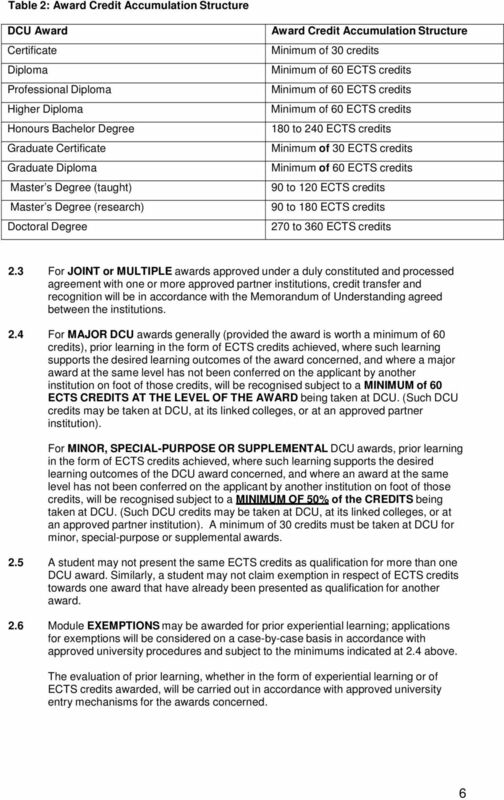 LIMERICK INSTITUTE OF TECHNOLOGY INSTITIÚID TEICNEOLAÍOCHTA LUIMNIGH DIPLOMA SUPPLEMENT This Diploma Supplement follows the model developed by the European Commission, Council of Europe and UNESCO/CEPES. 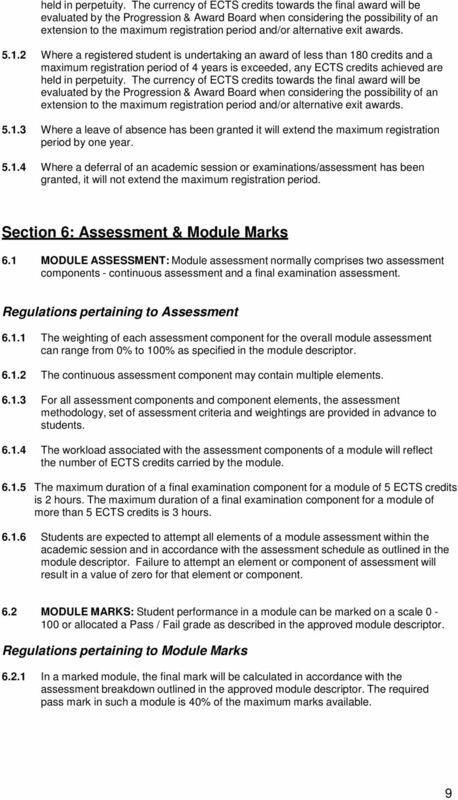 The course is taught in English. 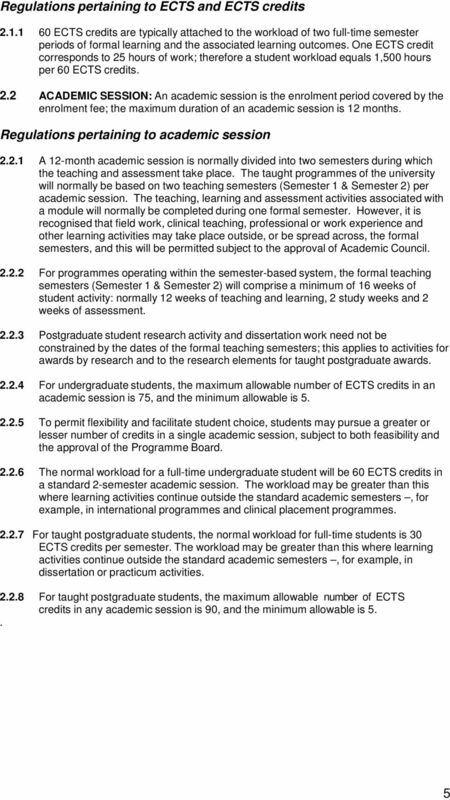 duration of 12 semesters may be agreed by the school. 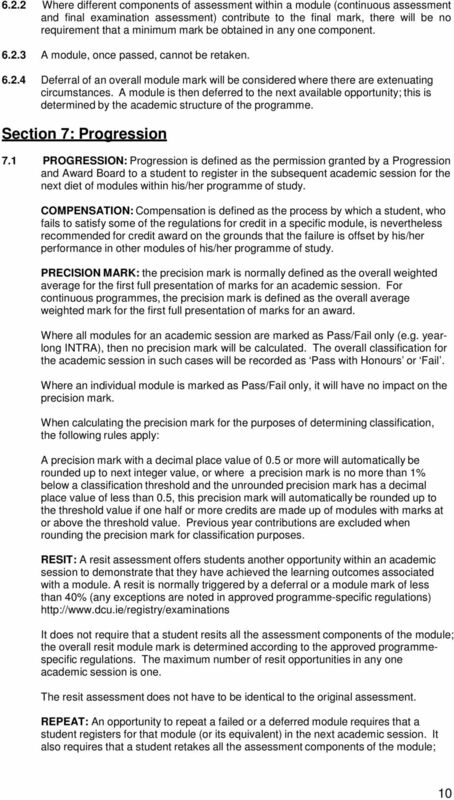 A declaration form should be completed online, printed and signed by persons applying for entry to the PME.